NY wind farm problems a sign of what’s ahead for North Stormont? 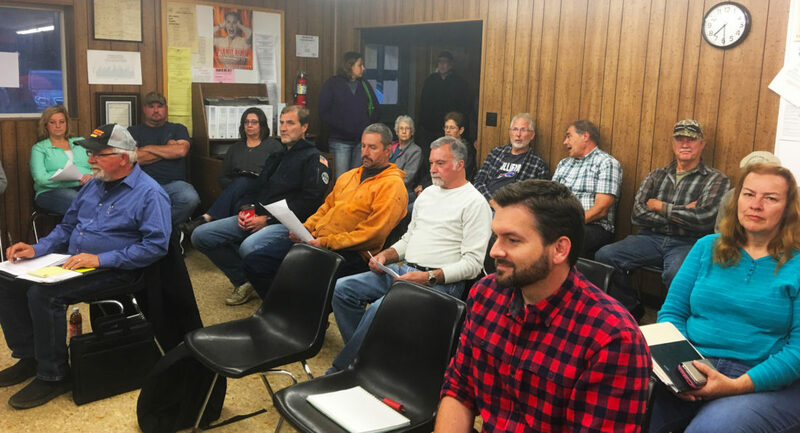 Residents in Arkwright, NY, are shocked at the noise and environmental disturbance from a wind power project, which just started operation. The project developer and operator is Spain-based EDP, the same company that runs the South Branch project in Brinston and which is planning the contentious Nation Rise power project in North Stormont. 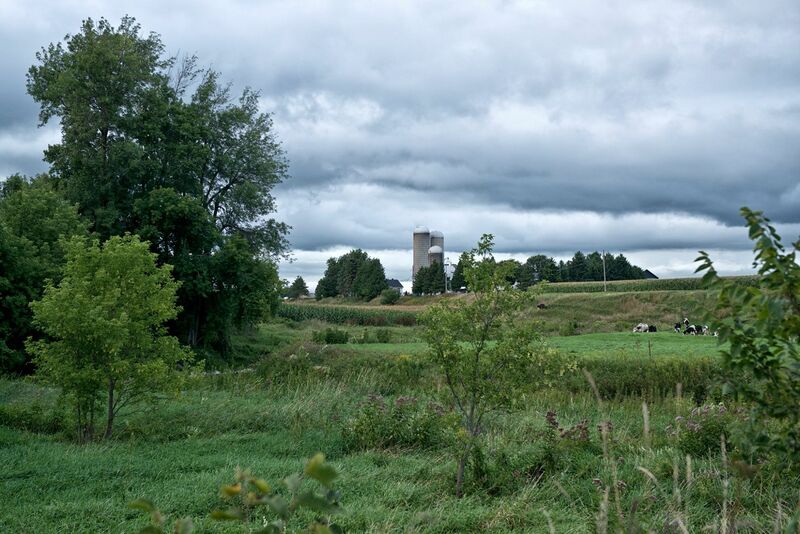 Residents had hoped the project would be cancelled when the new Ontario government cancelled three other wind power projects, but the IESO claims the project–which is under appeal–has met all its contractual milestones. Here is the news story with resident complaints of never-ending noise and visual disturbance. OBSERVER Photo by Jo Ward A large crowd fills the Arkwright Town Hall, as complaints of noise are heard regarding the wind turbines. “Take them down,” Riggles voiced. There is a fund-raiser/information Brunch event Saturday September 15 9 a.m. to 1 p.m. at the arena in Finch, hosted by the Concerned Citizens of North Stormont. Concerned Citizens of North Stormont leader Margaret Benke, Same rules for everybody. 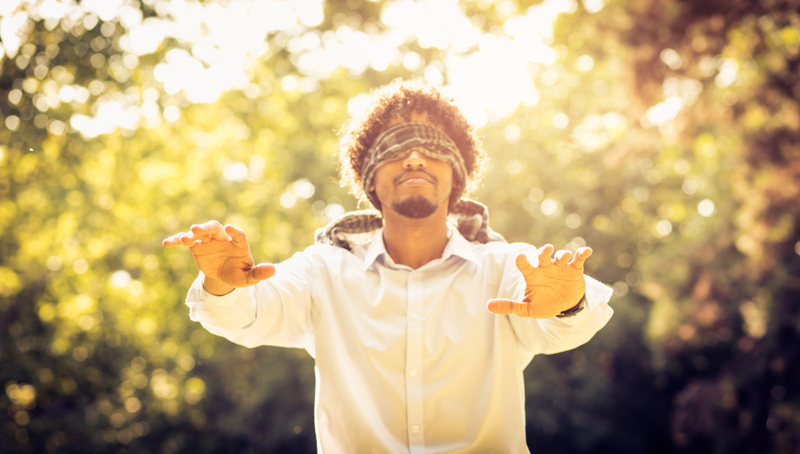 The Ontario government realized there were inadequacies in their protocols for wind turbine noise and the assessment procedures needed in the approval process for new wind power projects, so they changed them. And then gave the five newest wind power projects the option not to use the new rules. As a result, the powerful power generators in projects that received contracts in 2016 but which are not yet built — in fact four don’t have Renewable Energy Approval yet — will be out of compliance with the new regulations the minute they start operating. Four Ontario community groups think that’s not right. They’re heading to Queen’s Park today as three MPPs present thousands of signatures on a Petition, asking the government to follow its own rules. 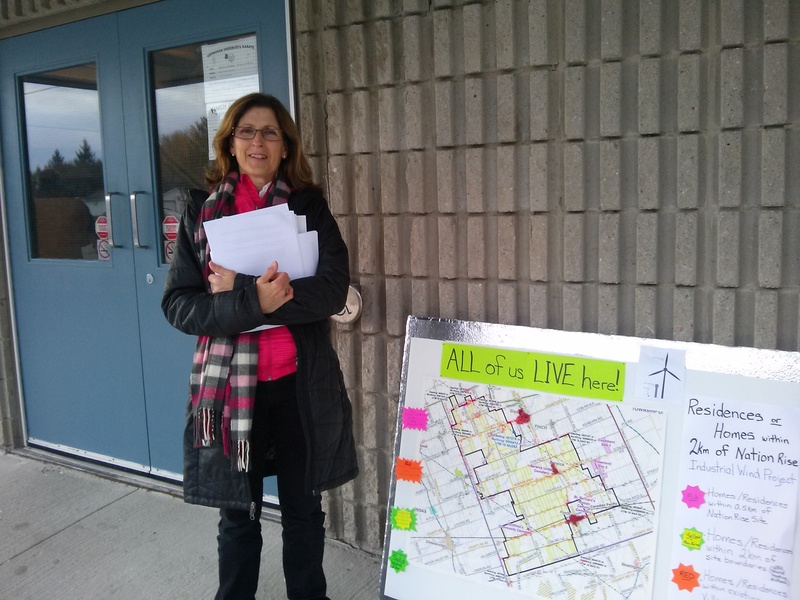 Representatives of Ottawa-area Concerned Citizens of North Stormont and Save The Nation will join their colleagues from Dutton Dunwich Opponents of Wind Turbines (DDOWT) and Wallaceburg Area Wind Concerns as the Petition is presented in the Legislature. The Petition is related to the creation of “Transition Provisions” by the Ministry of the Environment and Climate Change (MOECC) in the Renewable Energy Approval process, which allows wind power developers to ignore new noise modelling guidelines, even for the newest unapproved power projects. 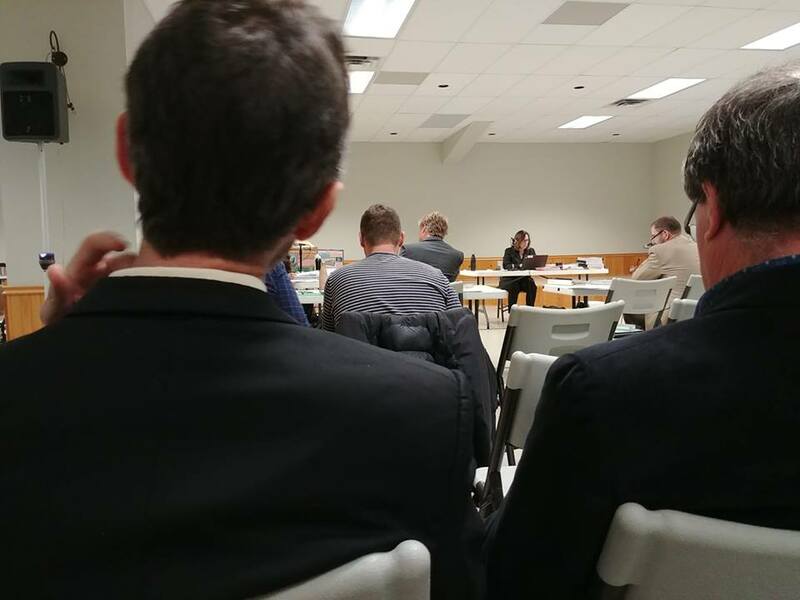 “The MOECC recognized that the previous requirements for turbine noise modelling were inadequate and they revised them,” says Bonnie Rowe, spokesperson for Dutton Dunwich Opponents of Wind Turbines (DDOWT), whose citizen group has applied for a Judicial Review of the Transition. “The noise modelling requirements are important to protect health and safety for people living near the turbines but now, the government has allowed the developers for the new projects to use the old ones — we think that’s wrong. Wind turbine noise has been linked to sleep disturbance, which in turn leads to other, serious health problems. According to Wind Concerns Ontario, documents received from the Ministry of the Environment and Climate Change #MOECC show that thousands of reports of excessive noise remain unresolved, and not responded to in Ontario. MPPs presenting the petitions Monday are: Jeff Yurek, from Elgin-Middlesex-London where the Strong Breeze Wind Power Project is proposed for Dutton Dunwich; Monte McNaughton, from Lambton-Kent-Middlesex where the Otter Creek Wind Farm is proposed for the Wallaceburg area; and Jim McDonell, MPP for Stormont-Dundas-South Glengarry, who will be delivering petitions on behalf of the North Stormont area where the Nation Rise Wind Farm is proposed, and also the Municipality of The Nation, where the Eastern Fields Wind Power Project is proposed. Wind Concerns Ontario, the coalition of more than 30 community groups and hundreds of individuals and families, published a review of the ownership of large-scale Ontario wind power projects yesterday, and revealed that nearly 80 percent of the power projects are owned by offshore corporations. The developers were attracted by the tax breaks, subsidies and other incentives offered by the Ontario government. Two new wind power projects currently have contracts in the Ottawa area: “Eastern Fields” in The Nation, proposed by foreign-owned RES Canada, and “Nation Rise” in North Stormont by EDP Renewables of Spain. EDPR also operates the South Branch project in Brinston, south-east of Ottawa, which was originally developed by Germany-based Prowind. Boralex: HQ France. Ontario Projects are Port Ryerse (10 MW) and the proposed/contracted Otter Creek (50 MW). Revenue from energy sales in 2017 to September 30 were $285M CAD. Total equity: $2.7B USD. Compensation for CEO Patrick Lemaire was $1.2M CAD in 2016. EDF Renewables: This company is associated with EDF or Electricité du France, the Power utility in France. Headquarters for EDF Renewables is in San Diego, California; the company operates in Canada as EDF EN Canada (EDF Energie Nouvelles). EDF EN Canada currently has a contract for the 60-MW Romney Wind power project. CEO is Tristan Grimbert. No further financial data is available. EDP Renewables : EDPR is a division of EDP or Energias du Portugal. The company’s headquarters are in Oviedo, Spain. EDPR claims to be the world’s fourth largest wind power developer. In 2017, the company states, it produced 27,600 GWh of power from wind. In Ontario, it operates the 30-MW South Branch project between Ottawa and Cornwall, and currently has a contract for the 100-MW Nation Rise project in North Stormont, south of Ottawa. Revenues in 2017 worldwide were €1.3 M or $2M CAD. CEO of EDPR is Joᾶo Manso Neta; there is no compensation data available for the CEO. In June 2017 it was announced that the CEO of parent company EDP was being investigated on corruption charges related to power contracts; the CEO of EDPR was also being investigated, but there has been no news since of any charges. Engie: Based in France, with North American Headquarters in Houston, Texas, and an Ontario office in Markham. This company bought AIM Power Gen (operated by Mike Crawley who is known to many Ontarians, and is now VP at Northland) which had become GDF Suez; it now operates the wind power projects at Cultus-Clear Creek Frogmore (30-MW), Harrow (40 MW), Erieau (99 MW), East St. Clair (99MW), Plateau (27 MW), and Point Aux Roches (49 MW). Revenue for 2016 was €13M or $20M CAD. CEO is Isabelle Kocher, whose 2016 compensation was €2.8M or $4.4M CAD. Pattern/Pattern Energy Group: The company’s slogan is “Transitioning the world to Renewable Energy.” Headquarters are in San Francisco; the company operates the Belle River (see Samsung), and North Kent projects in Ontario, is a partner in K2Wind, and is constructing the Henvey Inlet 300-megawatt project. 2017 revenues were $411.3 million USD. CEO/President is Michael Garland, whose 2016 compensation was $2.7 MM ($430.7K salary, $456K bonuses, and $1.8MM stock). Samsung Renewable Energy: The company is a division of Samsung C&T Investment Trading Group. Samsung C&T is headquartered in Korea; there is an office in Canada located in Mississauga. Samsung developed the huge 270-MW K2 Wind project with Pattern and Capital Power, (its share was sold in 2016 to insurance giant ManuLife, the Alberta Teachers Retirement Fund and Toronto-based Axium). Samsung operates three wind power projects in Ontario: Belle River (100 MW) , Armow (180 MW), and South and North Kent (270 and 100 MW respectively). Samsung, also known as “the Korean consortium,” was given an extraordinary contract by the Ontario government in 2010 to buy $9.7B CAD worth of electricity. The contract amount was slashed by a third in 2013; the government claimed Samsung had missed some deadlines, but the fact is, that much power was not (is not) needed. Canadian vice-president is Steve Cho; Samsung C&T president and CEO is Chi H. Choi; no compensation data is available. Samsung C&T operating profits in 2017 were 881.3B won or $1.05B CAD. Capital Power: Based in Edmonton, Capital is involved in a variety of power generating enterprises, including wind; Capital is a partner in K2 Wind, and operates the 40-MW Kingsbridge project in Ontario. Revenues in 2017 were $1B and net income was $144M. CEO is Brian Vaasjo whose 2016 compensation was $2.9M.